Push button tap will save you water and reduce your water bills. The delay action type of push tap will provide up to 3 ~ 8 seconds of running water after being released. Hygiene and comfort, suitable for wash basin in public place. Push button activation and automatic shut off, which helps with minimizing water wastage and reducing hand cross-contamination risk. Push Button Taps of Handy® are broadly used in sanitary facilities in hotels, office buildings, enterprises, institutions, star-level public toilets and modern houses. The thread of this in wall Push Button Pillar Taps is 1/2". 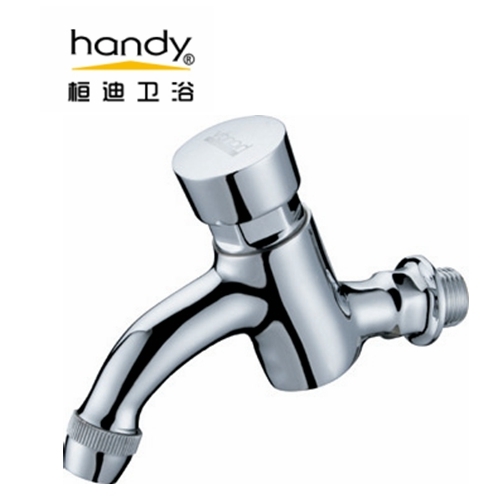 Fields of applications: public wash basin taps, school toilet faucet, train station wash basin taps, Hotels restroom Push Down Basin Faucet, Restaurant wash basin taps, factory wash basin taps, commercial faucets etc. 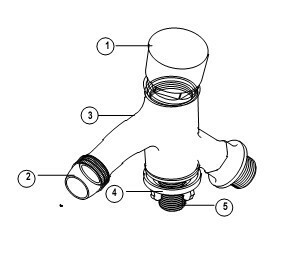 1) Please clean the inside of plumbing, like mud or sandy etc before install this Self closing taps. 2) This product is passed function test, please don`t dismantle the self closing cartridge, you can be sure to use it. Looking for ideal Self Closing Tap Manufacturer & supplier ? We have a wide selection at great prices to help you get creative. All the Push Button Water Tap are quality guaranteed. We are China Origin Factory of Brass Push-Button Taps. If you have any question, please feel free to contact us.